The rise of streaming games in 2018 is massive with many streamers and communities popping out in this year alone. With this continuous rise, it is normal for outsiders who don’t normally produce this type of content to try streaming. People have led to question whether these personalities are truly passionate about the game and streaming in general. Ashley Gosiengfiao, along with her sister Alodia Gosiengfiao are one of the influencers who embraced the culture and arguably also one of the reasons for it’s rise to mainstream popularity. Throughout the years, the industry continued to grow to mainstream popularity and so have they. Fortnite is one the best examples as even Hollywood celebrities are avid fans of the game. Just a few days ago, Ashley Gosiengfiao has recently addressed the big elephant in the room that has lingered in the past year. So many "gamers" now. 🤔 Uso na eh haha. Ashley continued the thread by also addressing streamers who “expect/demand” perks from their fans but not even honing their craft. Twitch has this problem as a lot of “girl gamers” don’t even play the game or play the game for only 1 hour. Twitch users also called out “boobie streamers” whose content is mainly just showing cleavages and wearing skimpy outfits but barely playing the game. Twitch has been called out by the community because they have noticed it has shown bias on these so-called “boobie streamers” as they do not punish them if they break the rules or not punishing their actions even further. Twitch has been accused of being to lenient and if it’s a “non-boobie streamer”, Twitch would punish or even ban the streamer. Facebook knows there is money on livestreaming as they have dedicated a page on Facebook for streaming and gaming. You will notice you can also sort streamers by games, much like how Twitch does. However, unlike Twitch, Facebook is new to this type of content and it’s rules are still a blur and barely defined. Although streamers also called out Twitch for not clearly defining their rules. It is still unclear on what Facebook’s stances are since they are new to this but we will definitely see Facebook react to the content being posted on their platform in due time. 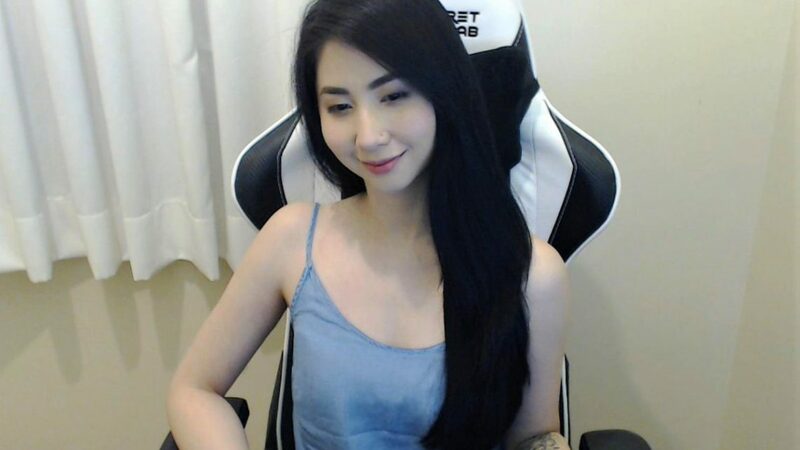 Fellow Pinoy streamers also sent their approval by retweeting and liking Ashley’s tweets. While others straight up commented on the topic. Bianca Yao commented saying that she’s been gaming all her life and she has always wanted gaming to become mainstream but she stressed that that doesn’t mean people should be in it only for money and fame. People also urged GLOCO to comment about this and that this would be a good topic for GLOCOpinions. Miyukito, a Twitch streamer, also commented on the sudden rise of gaming and people who are jumping on the bandwagon. She shares and echoes the same sentiments of Ashley saying that streamers should put more effort and show their passion for the game. She then comments that people shouldn’t expect people to watch and stick with the streamer if they don’t put enough effort. This is also similar to Ashley’s comments on streamers expecting perks from their viewers. She stressed that she isn’t against streaming or people getting into it but she’s just worried that “streaming” may have taken a different meaning. GLOCO eventually commented on the situation adding to Miyukito’s comments that nowadays, it’s definitely way easier to get into gaming and streaming but his respect goes to people who have been grinding up to a year or two hinting that it may be easy to get into streaming, but it is hard to keep doing it for years. Logan Paul has been accused of jumping to the bandwagon as he only posts his content on YouTube and with the sudden rise of streaming Fortnite, he suddenly made a Twitch and started streaming on it. YouTube and Twitch personalities questioned if he can even keep it up as unlike YouTube, you can’t edit anything out and if you mess up or act awkwardly, people will see it live. Eventually, as GLOCO have mentioned, only the truly passionate can grind streaming and continue it for years. We may be getting a lot of newcomers but the ones who will eventually stay are the ones who are really passionate about the industry.